When you go to purchase your first concealed carry handgun, you may find yourself feeling nervous and out of your element at the gun shop. If this sounds familiar, I promise, we’ve all been there and done that. Know that this is where the value of a truly concerned and dedicated professional can shine through, and that would be the gun shop sales person from whom you decide to buy your first gun. The salesman’s role is to explain to you, in terms you can comprehend and with no condescension, the varieties of handguns available and how they operate. An ethical gun salesperson or firearms instructor wants to see you on a regular basis and keep you as a customer. An ethical professional will also never push you into buying a particular product and should work to keep you, as a first-time buyer, resist being seduced into believing that cute, sleek, shiny, or complicated makes for a better defensive weapon. Rather, a good salesperson will help you make a truly informed choice, and they stay updated on quality products on the market. If you liked these tips, check out the full book, Armed: The Essential Guide to Concealed Carry. I suggest that, when shopping for a defensive handgun, you find a range facility that will let you rent different handguns, as well as offering basic handgun, personal protection, and concealed carry classes taught by qualified, certified instructors. In such a customer-friendly environment, you can best determine which type of handgun will best suit your particular needs. As you begin to shop, you first need to educate yourself by gathering information about the different handgun types, makes, and models available. Then, compile a list of your objectives based on your own personal attributes and needs, so that you can make an informed and personally appropriate selection. No one handgun is perfect for everyone or every situation. Think light and thin, which equates to carrying comfortably. Also, think about how you dress. Will the gun be easy to conceal with your normal, every-day wardrobe? You may want to try before you buy. A customer-friendly gun shop will permit you to hold a handgun you are considering and maybe even try it out in a holster on your hip to see if it is the right type for you to carry. While the above criteria are important, we mustn’t sacrifice reliability and durability in a carry gun. Remember, if you are going to carry your handgun everyday and practice with it, it must hold up! In choosing your carry handgun, you must judge as to whether each option provides a good fit for your hands. Does it point naturally? Is your trigger finger comfortably able to reach the trigger without your having to distort your proper grip? Unless the gun is a point-and-shoot gun, are the sights usable? Can you see the front sight clearly with your corrective lenses on? Is the gun comfortable to shoot? Is the recoil manageable? Seriously, if you can’t answer “Yes” to those questions, you will not shoot it, and you won’t get in the necessary practice time. So, choose wisely. It is better to shoot a 9mm pistol accurately than a .40 S&W or a .45 ACP erratically. You want a trigger that is neither too heavy of a pull nor too light. Bottom line—does it feel right for you? Can you operate it without getting finger cramps? Conversely, can you feel it when you press it? Too light of a trigger can spell accidental discharge. Can you repeatedly dry fire the gun without making figure eights with the front sight? In your hands, the gun needs to be reasonably accurate when you shoot it at 10 yards and closer. Is the gun forgiving of the arc of movement created by your hand tremor? Are you able to place accurate follow-up shots? Bad guys have a nasty habit of not going down after just one shot, so good second-shot recovery is essential. Your defensive handgun should be simple and safe to operate. Do you have the hand strength to pull the slide all the way back on a semi-auto pistol to cycle a round into the chamber or to clear the gun? Can you easily operate the slide stop/release lever to lock the slide back? Can your thumb reach and operate the magazine catch to drop the magazine? 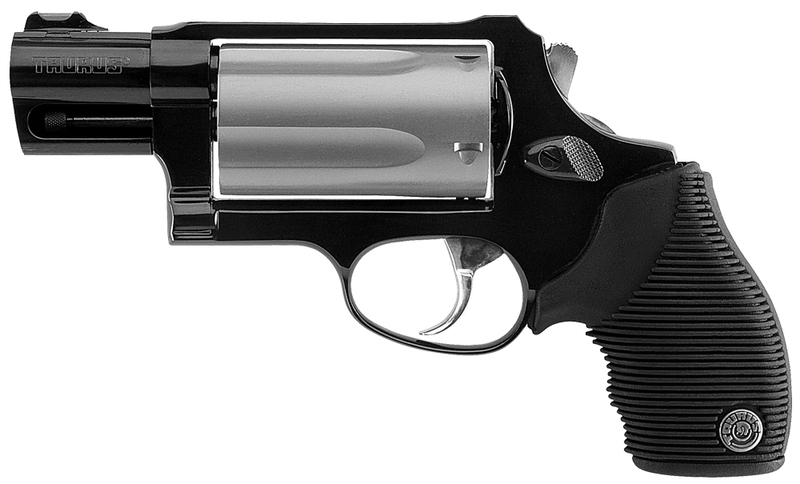 If you have a revolver, can your thumb easily reach and operate the cylinder release latch? Under stress, whatever fine motor skills you do have tend to fly away. Ease of operation includes choosing a gun that’s simple to field strip for routine cleaning and maintenance. Choose one that’s difficult, and the end result will be that you won’t maintain it, and then it won’t work when you need it. Keep in mind, too, that, as we age, many of us develop arthritis, which makes it difficult to disassemble and reassemble mechanical devices with many stubborn little parts. For those of us with weaker hands, it is important to choose a gun that does not require Herculean hand strength to disassemble and reassemble. 10. Affordability — Don’t Overpay! Your gun should be affordable to purchase and use. If you’re on a fixed income, you don’t want to have to sell your firstborn grandchild to stay protected! Also, if practice ammunition is too expensive, then you may become reluctant to practice. Choose a handgun in a substantial caliber for which there’s plenty of cheap, quality target ammunition and a good supply of affordable, defensive hollowpoint ammunition—9mm would fit the bill. Next Next post: 5 Things you should know!